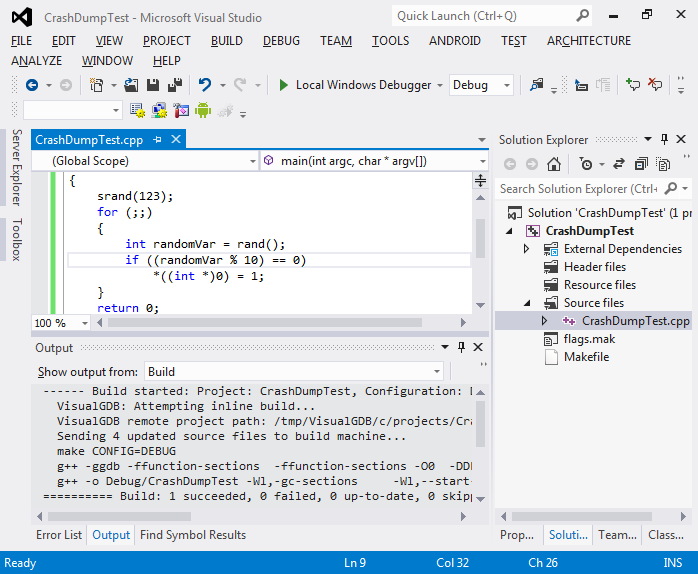 This tutorial shows how to debug core dumps created by Linux systems when an application crashes. We will first create a program that causes SIGSEGV at a certain point in time, then run it without debugger to let it crash and produce a dump, and finally open the dump file with VisualGDB to analyze the crash. 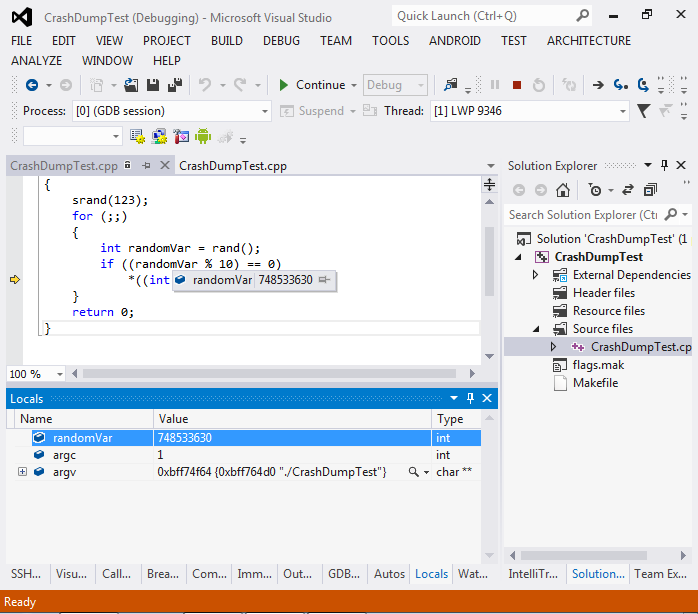 Note that you don’t have to build an application with VisualGDB in order to debug its core dumps. If you already have a core dump, you can skip the steps 1-7. 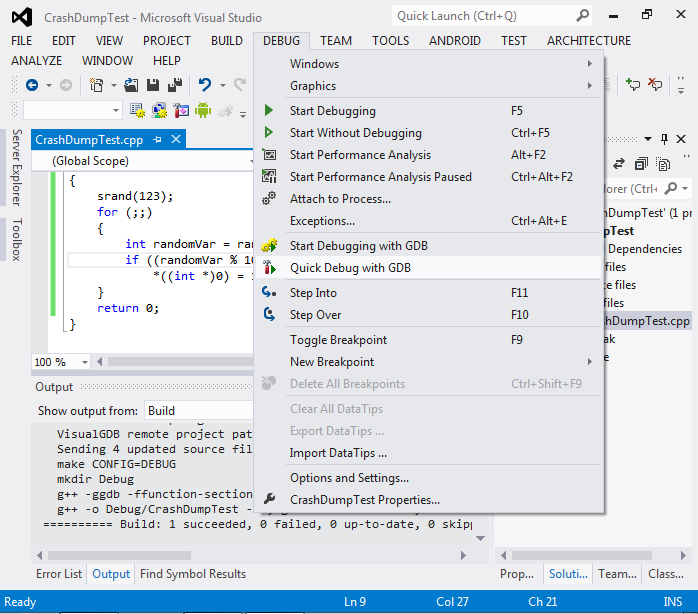 Warning: the core debug functionality relies on the Quick Debug command and requires VisualGDB Custom Edition and higher. Follow this tutorial to create a simple ‘Hello, World’ application for Linux. 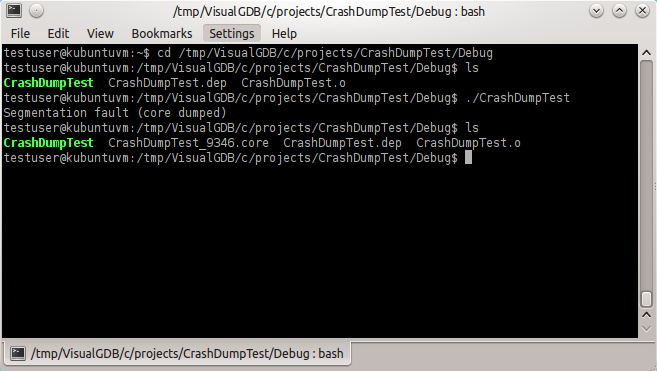 We will use CrashDumpTest as the project name. 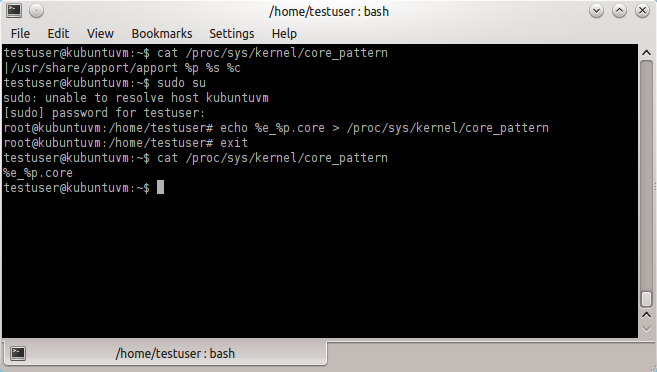 ‘%e_%p.core’ pattern, so the core dump file is called ‘CrashDumpTest_9346.core’. 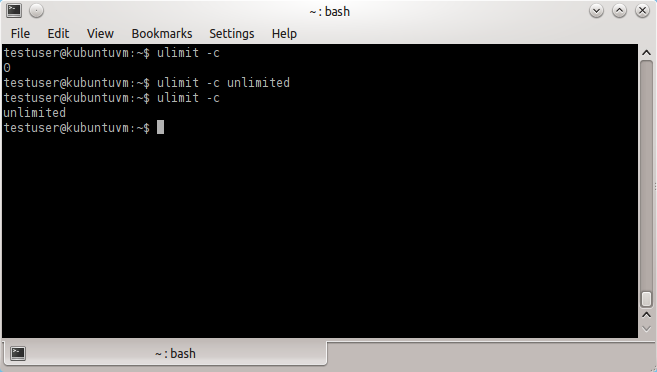 If the file is missing, ensure that the ‘ulimit -c’ is set to ‘unlimited’ and double-check the core pattern setting. 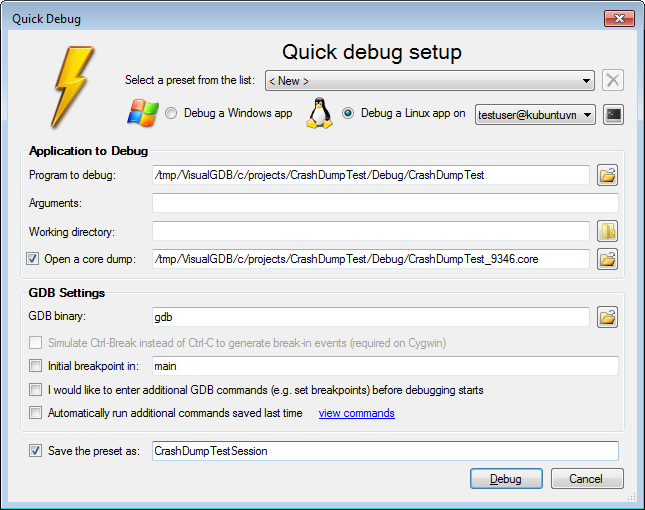 In the Quick Debug dialog click at ‘Debug a Linux App’, select your Linux computer and specify program to debug (the main binary) and the core dump path (located in the same directory in this example). If you want to reopen this core file (or similarly named files) later, enable the ‘save preset’ checkbox and specify a name. You will be able to quickly load your previous settings next time you open the Quick Debug window by selecting the preset from the list above. Press ‘Debug’ when done. As the core dump represents the state of the program when it crashed, you cannot step or resume execution. Press Shift-F5 when done examining the core dump.